Looking For The Best Drum Machines for Live Performances? Here’s a look at our favorites, including our top pick – the Alesis SR16 Classic. It does not matter if you make your living as a musician or just play for fun in your spare time. 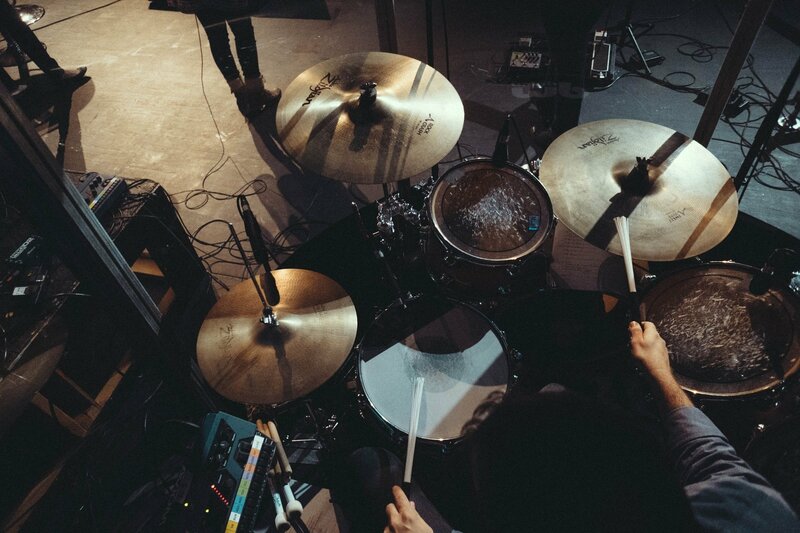 The equipment you use on stage and in practice matters a great deal, and it is impossible to get the sound you want without the drum machine for your style of play. If you know where to look and what to look for, you can get some killer drum machines for less than $300. All of these drum machines have the features you would expect from higher priced alternatives, all at a price that will not break yours or your band’s budget. 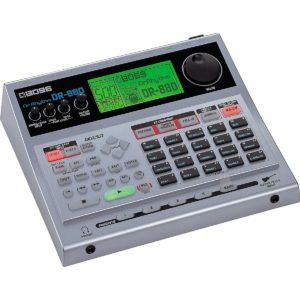 But, before your make your purchase, it is important to look carefully at what each drum machine has to offer and how much relative value it provides. That’s why in this week’s buyer’s guide we’re taking a look at the 5 Best Drum Machines for Live Performances. First let’s take a look at the Alesis SR16 Classic 24-Bit Stereo Electronic Drum Machine with Dynamic Articulation provides real value for the money. 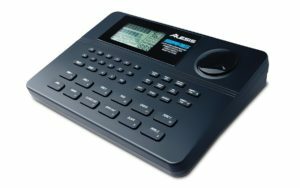 If you are ready to get started and need a solid drum machine for your live performances, the Alesis SR16 has a lot to offer. This professional drum machine offers 12 velocity-sensitive pads with dynamic articulation, giving live performers extra freedom and flexibility onstage and off. With 50 preset and 50 user-defined drum kits and more than 200 sounds to choose from, this is one highly capable drum machine. The Alesis SR16 Classic 24-Bit Stereo Electronic Drum Machine with Dynamic Articulation also offers sound step editing, sound stacking and a number of stereo samples with reverb and ambience, as well as two footswitch jacks, a MIDI input/output, stereo main, a headphone jack and an aux output. 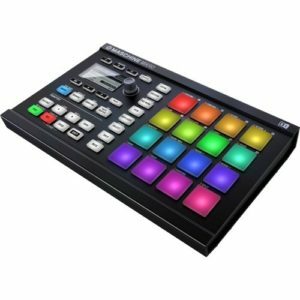 Next up is the Native Instruments Maschine Mikro MK2 Groove Production Studio drum machine is clearly aimed at the professional market, but it is easy enough for even a beginner to use. This smart, stylish and highly capable drum machine is perfect for live performances, with a host of special features that both professional and amateur musicians are sure to appreciate. Rated a #1 Best Seller in the Recording Virtual Instruments Software category at the time of this review, the Maschine Mikro MK2 Groove Production Studio combines flexibility, power and ease of use. Musicians can seamlessly browse, tweak, play, load and arrange their samplers, playing with various sounds until they get just the arrangement they want. With the Mikro MK2 Groove Production Studio, musicians can easily control and sequence all their external hardware, and the multicolored pads let players assign colors to sounds, patterns, groups and scenes, making it easier than ever to perfect those live performances and achieve the best sound possible. The Boss DR-880 Dr. Rhythm Drum Machine has long been one of the most popular choices with both professional and amateur musicians, and it is clearly a favorite for live performers. With more than 30 Amazon reviews currently on the books, the Boss DR-880 Dr. Rhythm Drum Machine is not bad for such a low-priced drum machine. The Boss DR-880 Dr. Rhythm Drum Machine includes an EZ Compose feature that lets musicians get fast and hassle-free programming, something that many competing drum machines simply do not offer. This great drum machine comes with four different footswitch and expression pedal inputs, making it easier to get a great sound. There are also individual outputs for added convenience, including a USB port and a digital output. With its dozen trigger pads, its note repeat and its full slate of 700 sounds, the Akai Professional XR20 Best Production Station Drum Machine is the perfect choice for the serious live musician. Its selling price is affordable, maybe a little on the pricey side for some, but its capabilities and durability make it well worth the extra cost. The Akai Professional XR20 Best Production Station Drum Machine has already garnered enough positive reviews across the web to create a testament to its high quality and popularity. With some 99 preset patterns and another 99 user patterns to choose from, this drum machine clearly has a lot to offer for live performers of all ages and abilities. The Akai Professional XR20 Best Production Station Drum Machine also includes a backlit LCD for easier operation in low-light conditions, as well as backlit pads that blow and follow the beat. There is also a microphone input and a headphone output, along with both pottery power capabilities and AC power. If you are looking for a durable and flexible drum machine for live performance, the Akai Professional XR20 Best Production Station Drum Machine is well worth checking out. With its excellent rating and affordable price, the Arturia SparkLE 420101 Hardware Controller and Software Drum Machine is clearly one of the best drum machines for live performance. With a solid average rating of 3.8 out of 5 stars across more than 50 Amazon reviews, it is easy to see why this powerful and flexible drum machine is such a popular choice with live musicians everywhere. 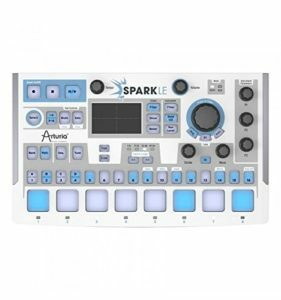 The Arturia SparkLE 420101 Hardware Controller and Software Drum Machine includes full-featured Spark Software, with 3 synthesis engines, including virtual analog, physical modeling and sample playback. There is also a backlist velocity and pressure sensitive pad for easier operation in all kinds of lighting conditions, along with a touch-sensitive FX pad and a mode selector bank. If you are looking for something solid and capable, the Arturia SparkLE 420101 Hardware Controller and Software Drum Machine is clearly one of the best drum machines for live performances. 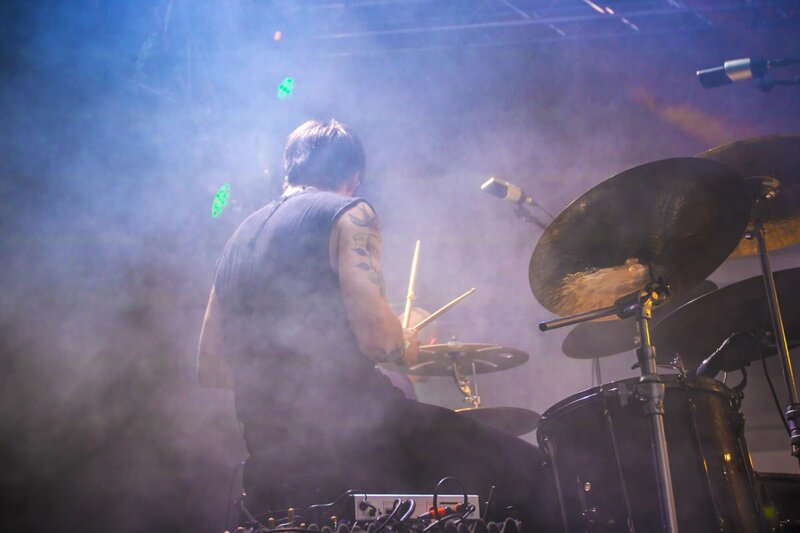 No matter what kind of music you play or where you play it, you need a solid drum machine on the stage with you. The 5 drum machines listed above are all highly capable, and they are all excellent live performers, so feel free to pick your favorite. If however, you did not find what you were looking for then feel free to let us know so that we can improve our buyer’s guide!